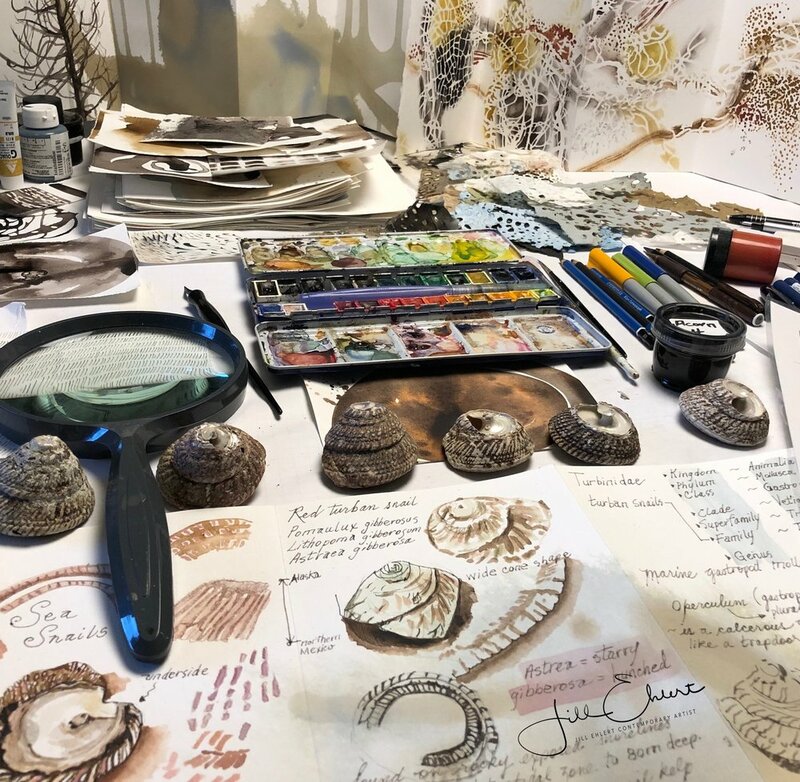 I am inspired by “Intertidal Ecosystems” and in my art practice I explore ideas of growth and deterioration, strength and fragility, beauty and the grotesque. I create mixed-media collages based on these concepts, layered with my imagination and perceptions of this foreshore region. I manipulate materials which yield results that echo the shapes and patterns I discover and observe in this marine environment.